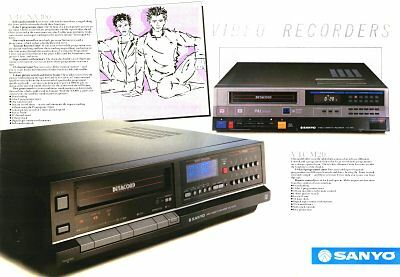 The Sanyo VTC-NX100 was the successor to the VTC-M10 VCR. It is a slim front loading machine and came in black styling with a bright red legend. The image shows its sibling the VTC-NX10 with its silver styling. This Model was the last produced by Sanyo for the UK market. Out of all of the Sanyo Beta's this one had a poor picture quality compared to the previous line up. It does though have features which improve upon the VTC-5000. For example colour picture search and pause. 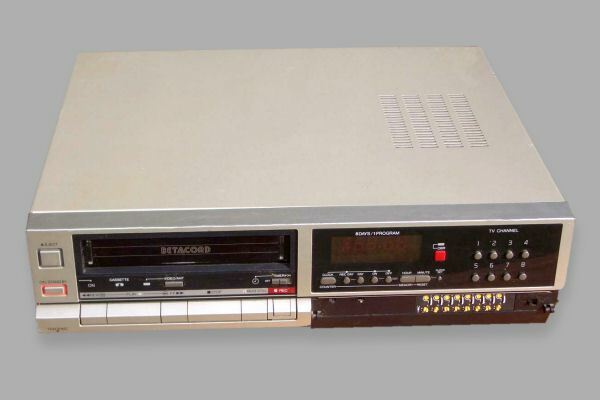 It is also one of the few Betamax models to support one touch record, the other possible example being the SL-HF950 with its "quick record" button. The VTC-NX100 did not have a remote control although one was supplied for the Australian, Indonesian, New Zealand, South East Asian and Hong Kong versions. Models VTC-NX10 and VTC-NX15 are very similar to the VTC-NX100. These feature 8 TV channel buttons with other models featuring 10 TV channel buttons. The specifications page also shows a comparison of the different international versions. Following is the original Sanyo advertising flysheet for this model. Thanks go to Noel Higgins and Kevin Lambert for supplying some of the information for this model.